Famous Drag Strips in the U.S. Whether immortalized in movies or for being the site of big name national races, some U.S. drag strips are known throughout the drag racing world. We’ve made a list of some of the most well-known drag strips in the United States. Have you raced at them all? 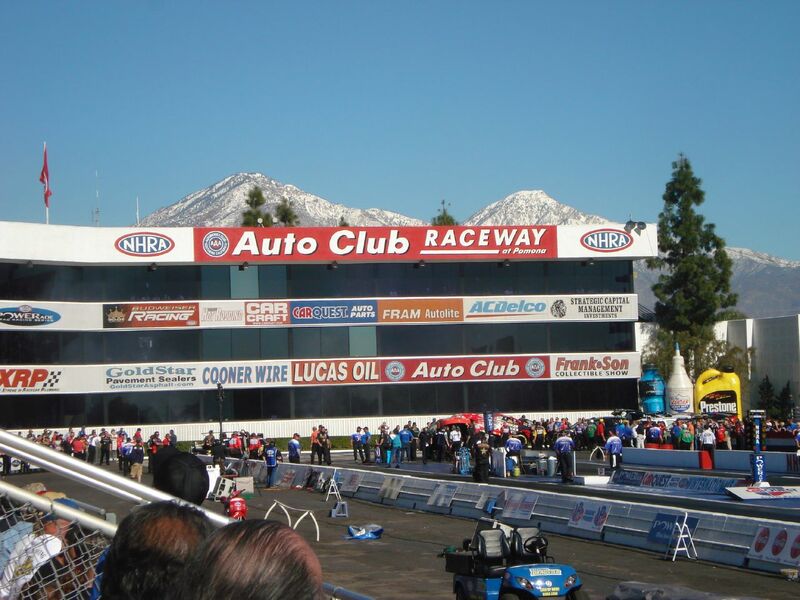 This quarter-mile drag strip opened in 1961 and is famous for hosting the NHRA’s Circle K Winternationals and Automobile Club of Southern California Finals (as well as being operated by the NHRA directly). It can accommodate up to 40,000 spectators and since 1984 has included Top Fuel, Funny Car and Pro Stock races. Gainesville Raceway opened in 1969 and held its first Gatornationals event in 1970. Long considered one of the fastest tracks on the NHRA circuit, it was from this legendary launch point that drivers clocked the first 260-, 270- and 300-mph Top Fuel runs. Fun fact: During the 2000 Mac Tools NHRA Gatornationals, eight of 10 national records were set in the professional classes. Bristol International Dragway (as it was known then) opened in 1965 under National Hot Rod Association sanction. At the time it was considered a state-of-the-art super dragway, the best in the country. Did you know? The dragstrip sits between two mountains so the strip earned the name "Thunder Valley" because of the thundering noise cars made when they traveled down the strip. 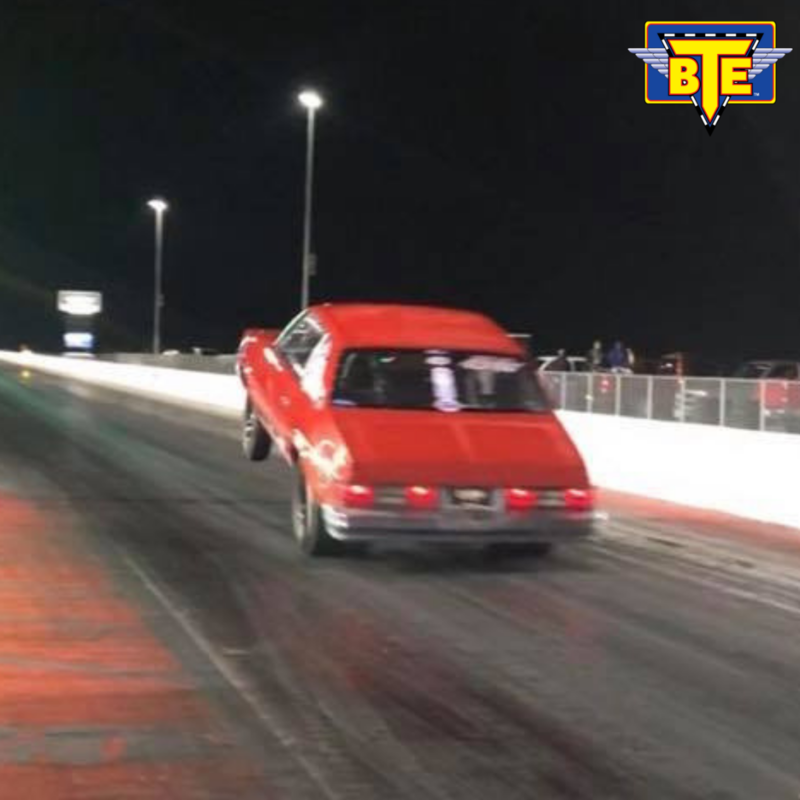 Welcome to the BTE Racing Car of the Week series, where we feature our customers and drag racing fans, and the cars (and trucks) they love to race. 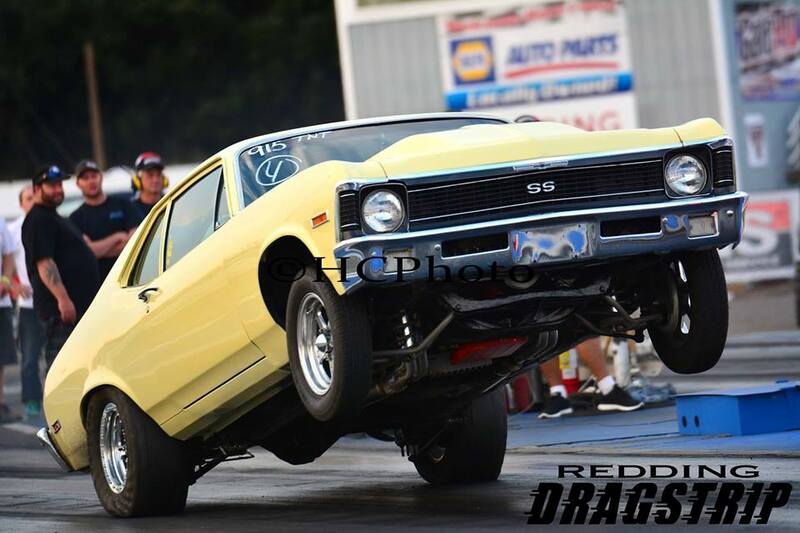 Today we're featuring Jared ‘Big Jed’ Pennington from Fultondale, Alabama, who owns and races a 1972 Chevrolet Nova. My dad got me started at the age of 13. BTE offers the reliability necessary to stay competitive in racing. Their staff is knowledgeable and helpful, which keeps me from guessing at what I need. I know I can trust them to only sell me what I need, and nothing else. I was struggling with inconsistency on my race car. I sent the transmission to BTE, for them to make sure my issues weren’t being caused by the trans. They found my valve body, to have an issue with a sticking valve. I upgraded to their billet pro transbrake and it solved the problem. Anyone that works hard for the sport. We need more people contributing in a positive way. The same car I drive today. No actual ritual, but I do try hard to get a good night of sleep, the night before a big race. 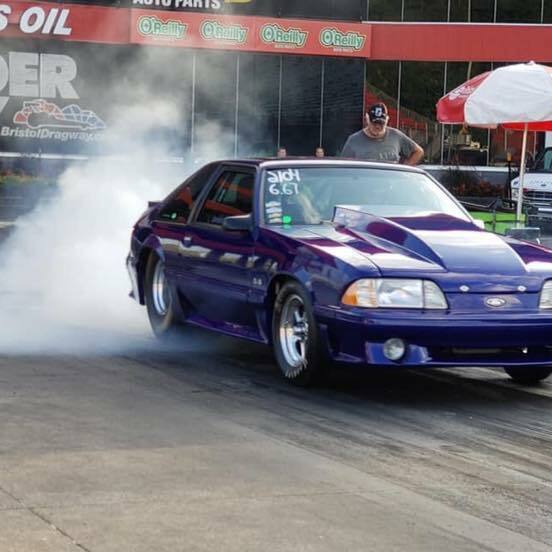 Welcome to the BTE Racing Car of the Week series, where we feature our customers and drag racing fans, and the cars (and trucks) they love to race. 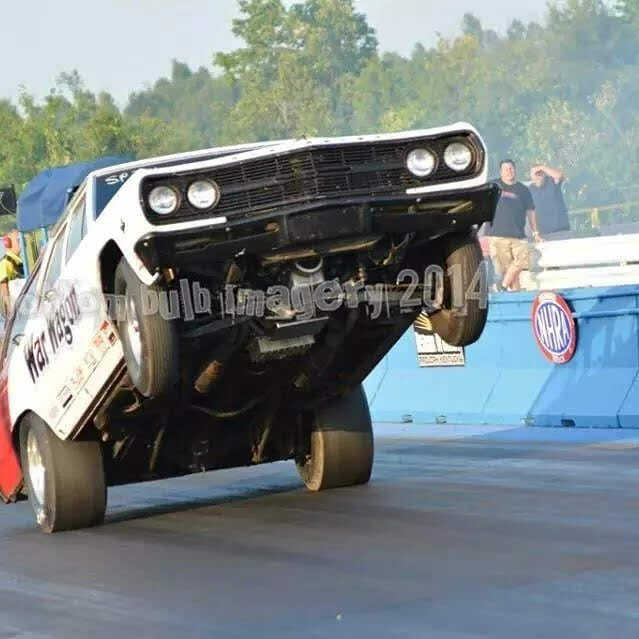 Today we're featuring Philip Cromer from Kentucky, who owns and races a 1970 Nova and a 1990 Nova. A 1970 Nova and a 1990 Nova. They have the good stuff. They build some of the best parts! With winter out the door, it’s time to get back into the swing of things for the spring season. 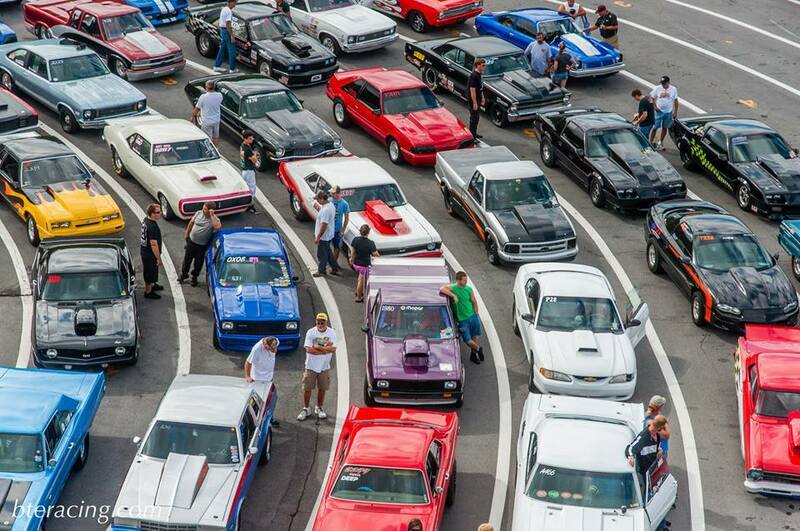 We’ve made a list of upcoming drag races around the country to keep on your radar. Check out our round up below and let us know which races you’re planning to compete in or spectate. Pre-entry ends March 25. 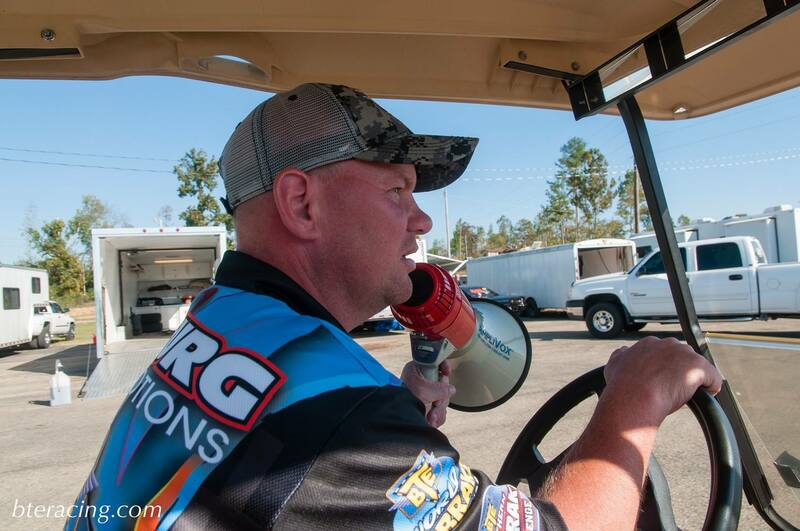 Entry costs $375 for the weekend and drivers will compete to win two $10K purses and one $20K. 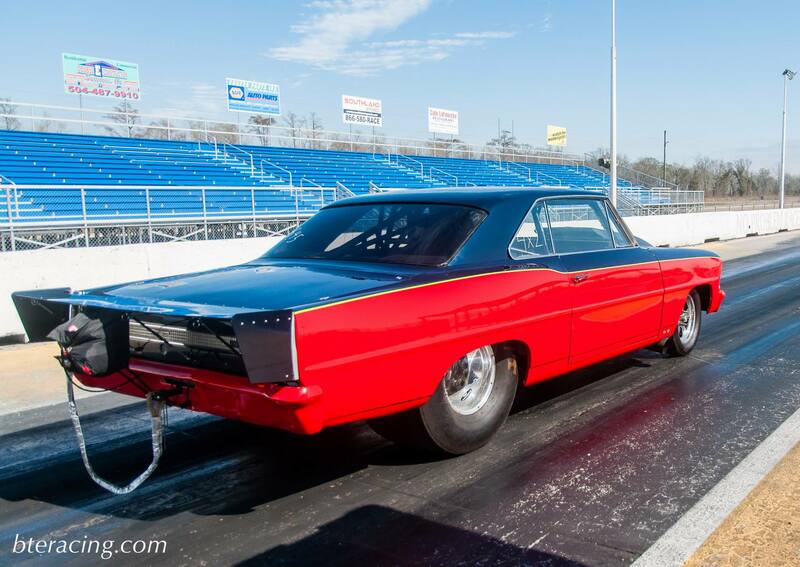 Race will take place at Rockingham Dragway in Rockingham, NC. The Las Vegas Motor Speedway hosts the fire and fury of the NHRA Mello Yello drag racing series twice each year, including the four-wide event this spring. Sharks of the Strip (SOTS) is the newest 1/8-mile outlaw heads-up racing experience for the baddest and fastest street cars. The top full-bodied racers will battle it out for cash prizes and bragging rights at Gateway Motorsports Park (located at 700 Raceway Blvd., Madison, IL 62060). This one’s got it all: races in categories for High School, Trophy, Motorcycle, Sportsman, Pro and Super Pro. Compete for the chance to win up to $1,400 purse. The first day of the event is dedicated to bracket racing and is dubbed Dialed-In Thursday. The weekend continues with Friday Night On Fire, featuring Pro Stock Motorcycle, Pro Stock, Funny Car and Top Fuel categories. All-Star Saturday will feature Nitro and Pro Stock Qualifiers, with Championship Sunday ending at the winner’s circle. The 7th BTE Southern Footbrake Challenge will return to Holly Springs Motorsports from October 31 - November 3. Mark your calendars, footbrakers! 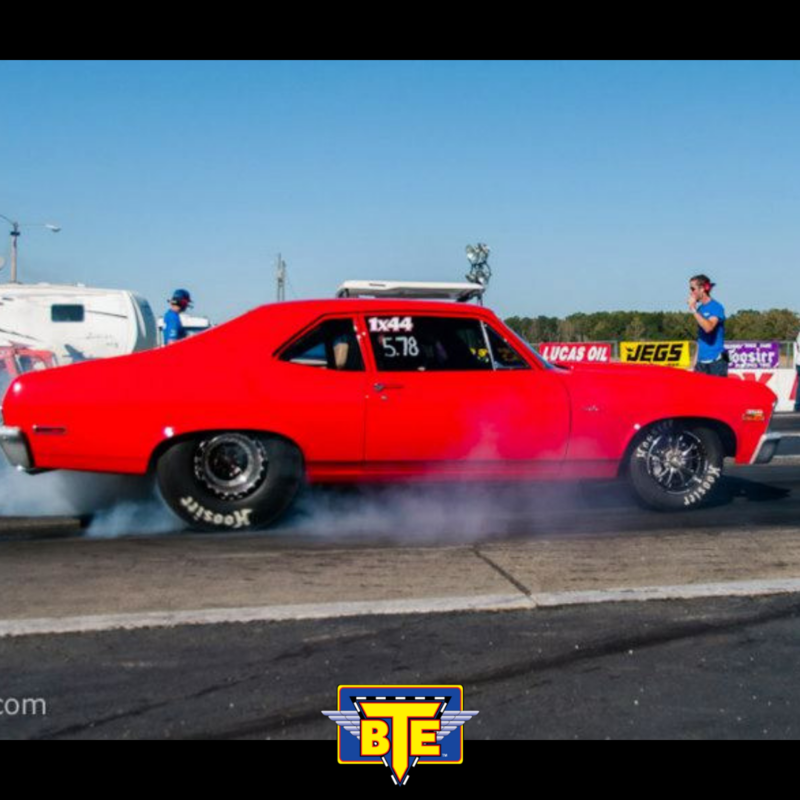 Welcome to the BTE Racing Car of the Week series, where we feature our customers and drag racing fans, and the cars (and trucks) they love to race. 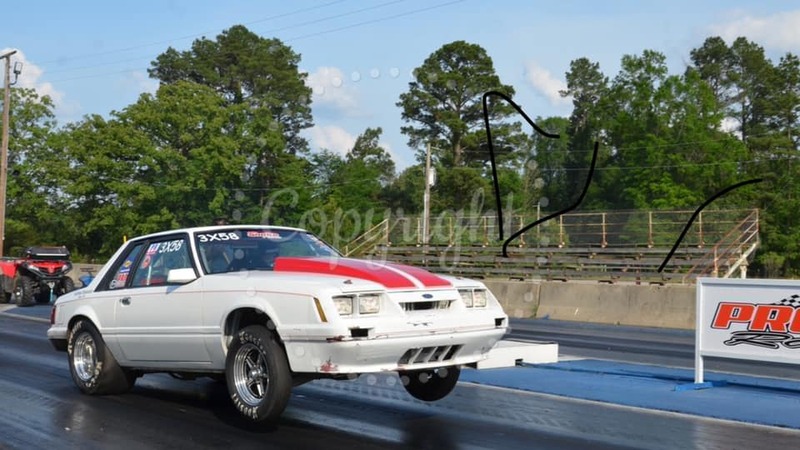 Today we're featuring Keith Morton from Hope, Arkansas, who owns and races a 1986 Ford Mustang. My girlfriend (now wife) worked front gate at my local track. I started going all the time and had to have a car of my own! Great customer service and trackside support. They have good parts that keep you racing! Honestly, there are too many to name just one! 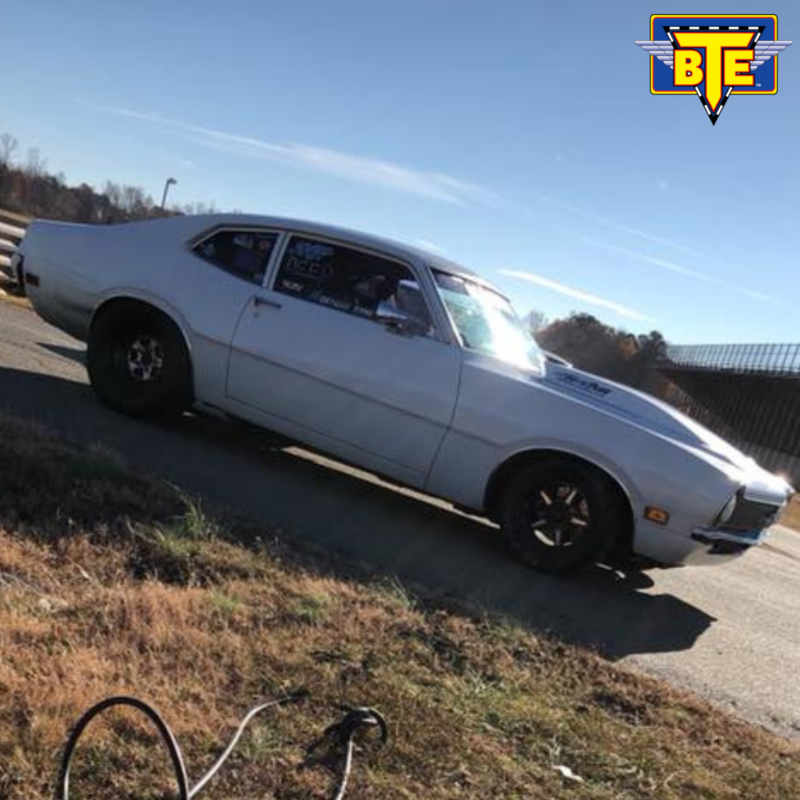 Welcome to the BTE Racing Car of the Week series, where we feature our customers and drag racing fans, and the cars (and trucks) they love to race. 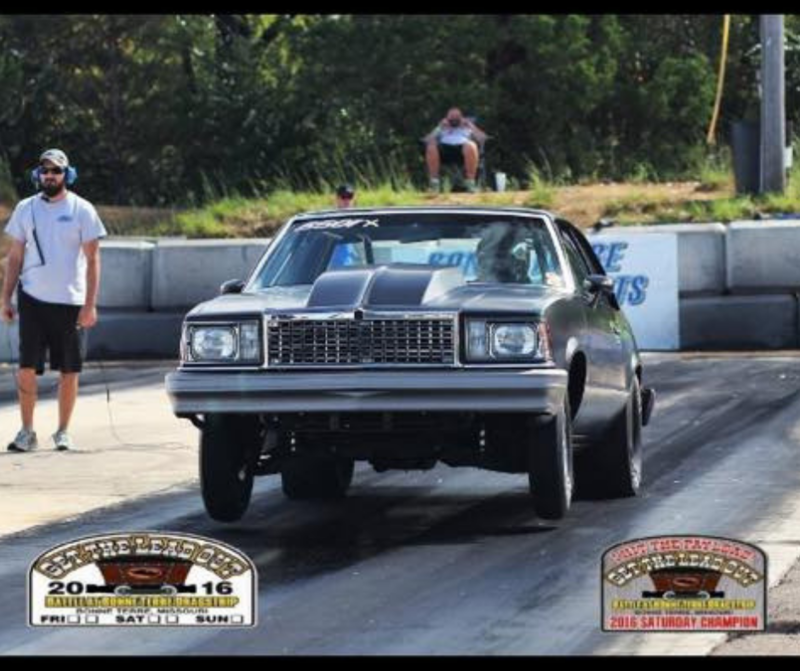 Today we're featuring Scott Wallace from Grand Prairie, Texas, who owns and races a 1978 Chevy Malibu. My dad, uncles, brothers and brother-in-law all race and got me into it. 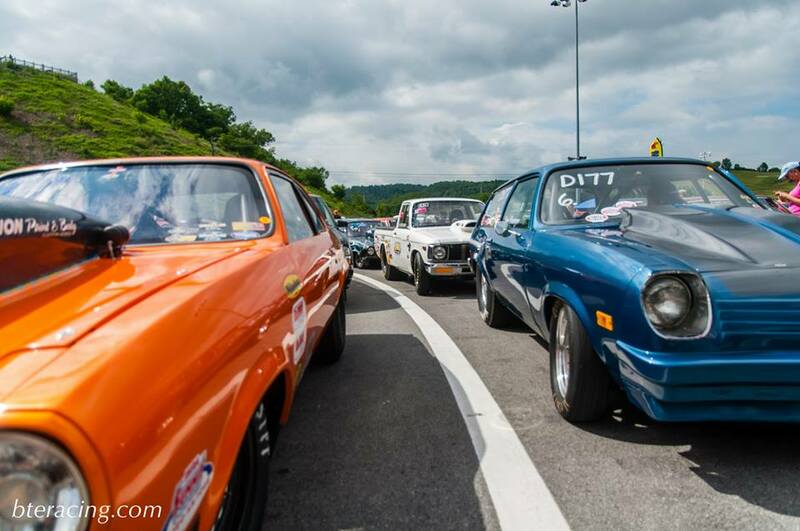 Where was your first drag race? At the now-closed Texas Raceway in Kennedale. My Scotty’s transmission uses a BTE transbrake, planetary gear set and torque converter. Customer service and quality parts. My car has been super consistent since the converter change. My dad. Win or lose, he always had fun at the track. I would keep racing my Malibu but I would also have a couple dragsters and roadsters. We have to be at the track early and get things ready. Clean the car. Spend some time with my friends. Welcome to the BTE Racing Car of the Week series, where we feature our customers and drag racing fans, and the cars (and trucks) they love to race. Today we're featuring Robert High from Mayfield, Kentucky, who owns and races a 1996 Camaro Z28. It’s always been in my blood from a young age. Products do a wonderful job for my setup. 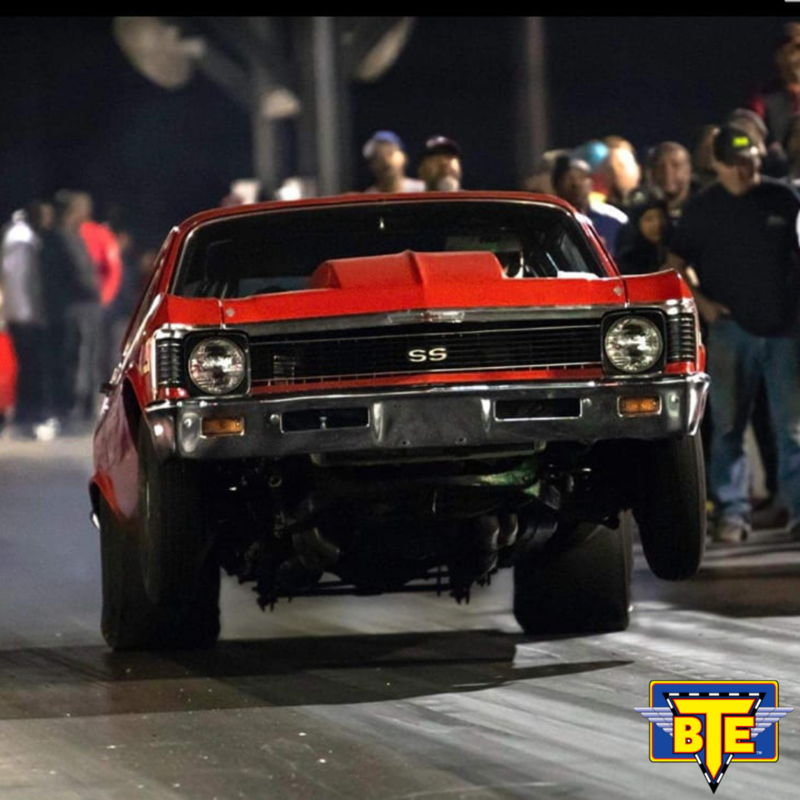 Welcome to the BTE Racing Car of the Week series, where we feature our customers and drag racing fans, and the cars (and trucks) they love to race. 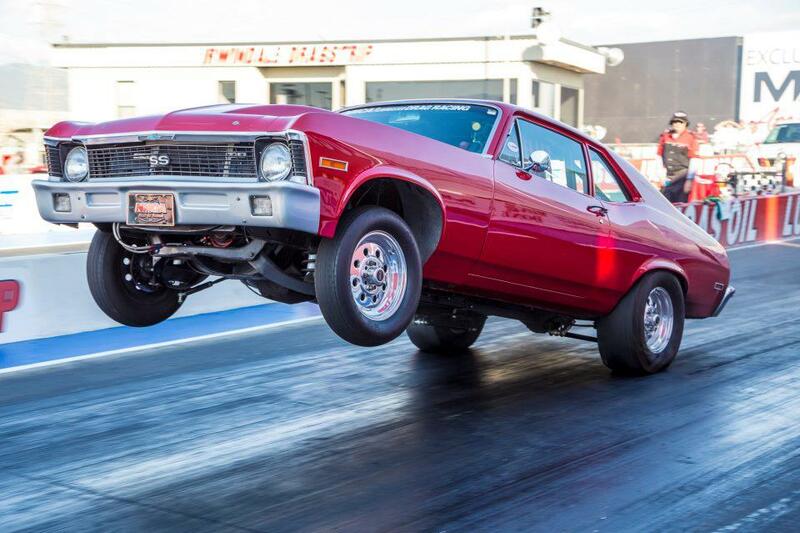 Today we're featuring Tim Walker from Grand Prairie, Texas, who owns and races a 1972 Chevrolet Nova. My dad was a drag racer. Texas Raceway in Kennedale, TX. I order a nitrous converter and it was perfect the first time for my application and as you can see the 60 fts are great. Bud Morgan at Morgan & Son racing engines. Rock ‘n’ roll and have fun. For newcomers to drag racing, learning the lingo is a great way to settle in to the racing community and learn more about the sport. 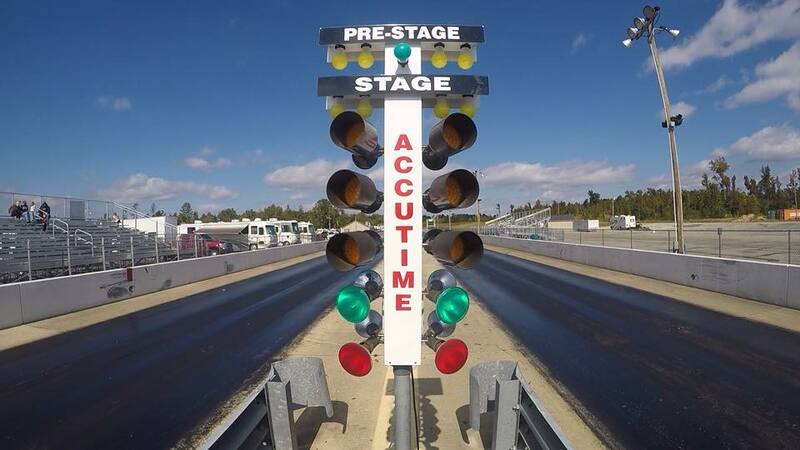 We’ve put together a glossary of words and phrases to know before you hit the drag strip. This is Part 2 of a two part series and covers terms starting with the letters N-Z. Check out Part 1, letters A-M.
National Hot Rod Association, drag racing sanctioning body (US only). 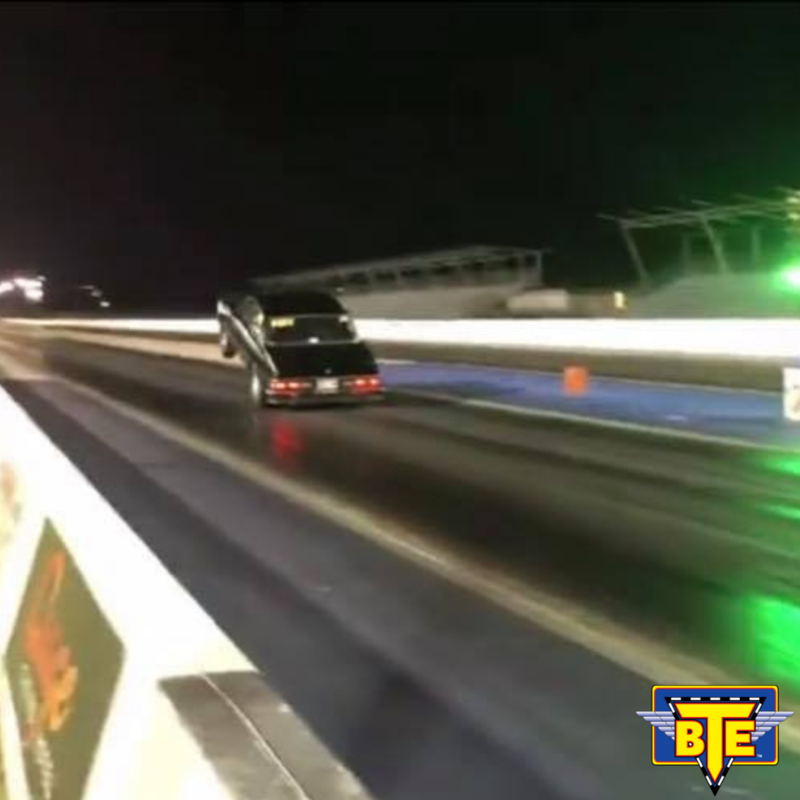 Drag racing fuel created from the reaction between nitric acid and propane. When a car's engine or lubrication breaks during a run, leaving a streak of oil and other fluids on the track. This is punishable by fines, point penalties, and/or suspension. Working the throttle to avoid losing traction, or to purposely add time. Bracket racers may throttle slightly at the big end to stay just ahead of the competition, but not break out of their dial-in. During drag racing eliminations the losing car is eliminated and not allowed to return to competition. Consequently, the race car is loaded on its trailer and towed home. Aligning the front tires approximately .5 feet behind the starting line, so that the sensor is triggered and the yellow pre-stage lights at the top of the driver’s respective side of the christmas tree lights up. Trying to shut out distractions in the pits, or an attempt to better concentrate on getting a good reaction time, shifting on time, driving smoothly, etc. Race face also refers to psyching out your opponent by giving the impression that you’re calm when most others would be nervous. Reaction time, or how long it takes for a driver to react and leave the staging beam after the green light on the Christmas tree. Often the difference between a win and loss, a perfect reaction time is 0.500 second. When a driver jumps the start and leaves the staging beam before the tree turns green. This results in a loss unless a more serious foul occurs (for example if the opponent crossed the center boundary line). When a loss of traction occurs, causing the rear tires to rise, and smoke profusely. This usually happens off the starting line. When this happens during a race, it usually results in a loss, unless the opponent also loses traction as well. When a driver aligns the front tires at the starting line so that the yellow lights below pre-stage lights are lit. Once both cars are staged, the tree countdown begins. Slip of paper turned in by the race timer which denotes elapsed time for both drivers, and who won the race; it may also include reaction time and "60 foot" time. This is an official document, used for timekeeping. When the engine is putting out more horsepower than the drive axle can handle, causing the rear tires to shake violently. This results in a loss of speed, and can also result in loss of steering, and occasionally, lead to on track accidents. When a race car does a wheelstand, it lifts the front tires off the ground for a few seconds-or a few hundred feet. A special design of low-pressure drag racing rear tires that have unique sidewall construction to allow the tire’s sidewall to compress to the point of wrinkling (upon hard acceleration). Also known as "cutting a zero," and a "zero R.T." When someone leaves the starting line at the exact moment when the light turns green (.000). Very difficult to achieve, due to the quick flashing of the lights on a Pro tree. 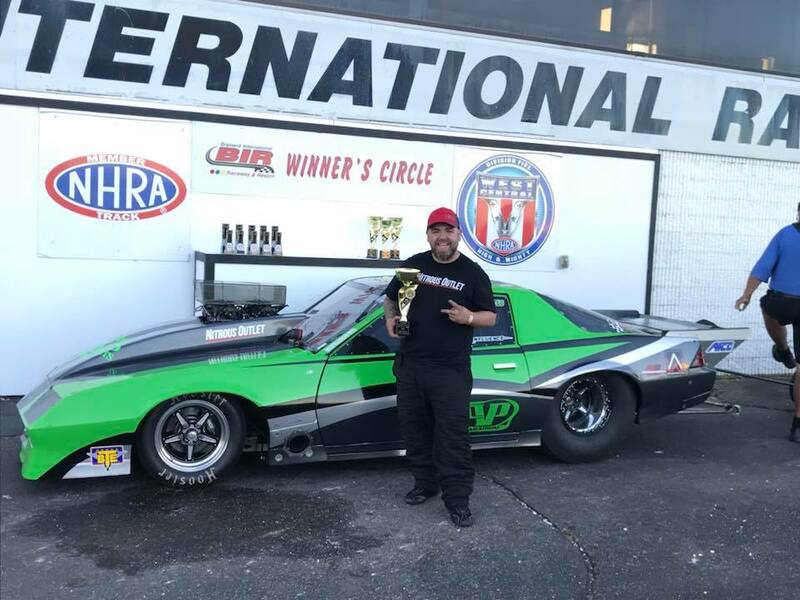 Welcome to the BTE Racing Car of the Week series, where we feature our customers and drag racing fans, and the cars (and trucks) they love to race. 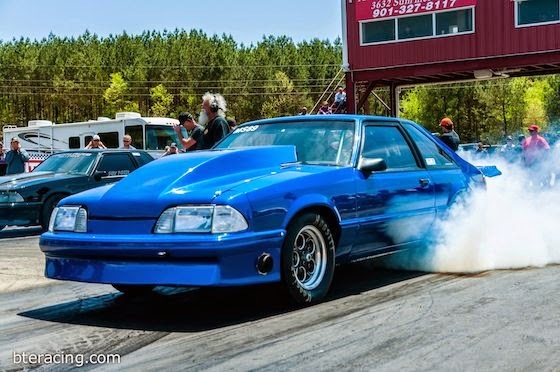 Today we're featuring Bill Feckley from Hardin, Kentucky, who owns and races a 1992 Ford Mustang. Just a friendly rivalry kind of thing at first. Me and some buddies had some faster cars and we started going to the track. That was about 20 years ago. Haven't stopped since. I’ve debated giving it one, it was my "side chick" then a friend said I was a "trackhead" and almost thought about using that. 6.0 ls carb setup. All motor. Key part is BTE converter, trans parts (clutches, valve body). Good friend uses them. He got me hooked. Just getting my converter right from the get-go. Allowed me to focus on other things. Christopher Chance Lykens is always there to help too. Lots of friends in the sport. Lucas Walker, Phil Combs, David Bell, Danny George. Just all good people. Still a ‘92 mustang. Just lots faster. Just try and do the same thing every time. 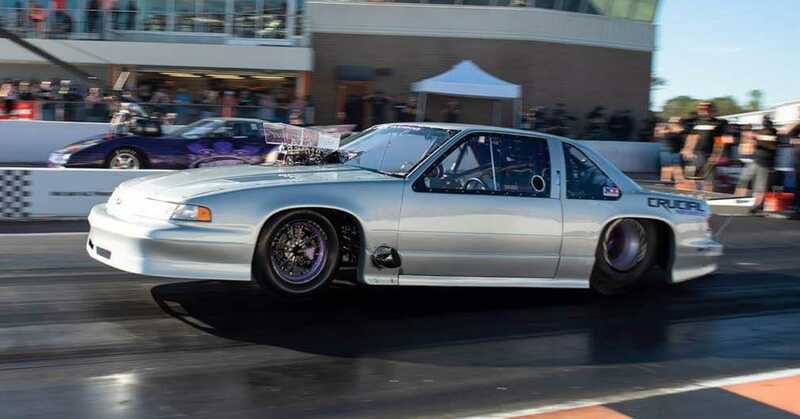 Welcome to the BTE Racing Car of the Week series, where we feature our customers and drag racing fans, and the cars (and trucks) they love to race. Today we're featuring Sean Stearns from Owasso, Oklahoma, who owns and races a 1978 Chevrolet Malibu. My family has always been a car family. Since I’ve gone to your powerglide, I’ve never had an issue. Jean Carter and Butch Hail, both passed away this year. RIP. Warm it up and drive it hard! 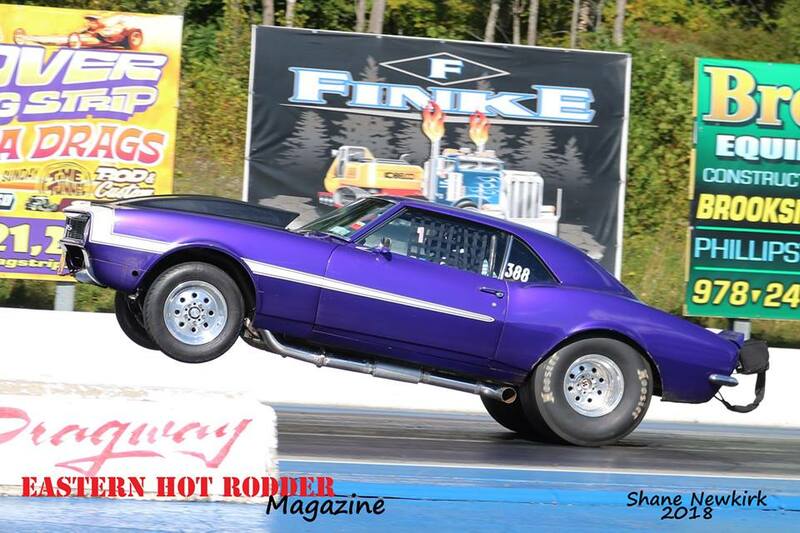 With thousands of drag strips across the United States (and thousands more internationally), you have to do more than check the bulletin at your local track to stay on top of the latest drag racing news. We’ve found some of the most helpful websites, podcasts, drag racing publications and discussion boards to keep you up-to-date on all things drag racing. Great source for pro stock updates, big winners, racing trends and season standings, with a mix of reporting, op-eds and guest blogs. Check this out if you enjoy commentary and personality. Ongoing columns and interviews are mixed in with race reports and well-researched features with a historical bent. In addition to reporting major drag racing industry news, this site has cool car features, drag racer profiles and interviews, as well as tech articles and photo and video galleries. This online magazine offers active discussion forums to interact with others in the drag racing community, as well as breaking news and race results, video compilations and an original racing analysis podcast series called the Back Porch Show. Car reviews, motorsport news, well-produced video features, sale listings and plenty of tech talk. Jalopnik leans a bit more towards entertainment than reporting with their humorous headlines and quirky features, but still provides a steady stream of news relevant to drag racing. This podcast has a huge episode archive and is updated weekly. Luke Bogacki and Jared Pennington share their takes on drag racing’s hot topics and host drag racing super stars on the show. They also report on local and national bracket racing and drag racing events. This podcast interviews pro drag racers, big winners, tech geniuses, organization representatives and other drag racing movers and shakers to bring listeners insider tips and insights. Based out of Billings, Montana, the Drag Racing Weekly podcast features local racers Tyler Jackson, Taylor Larson, and Adam Larson. They discuss professional racing, race results, happenings at the track, drag racing best practices and racing advice. Self-proclaimed “gearheads” Brian Stupski, Brad King, Alex Welsh, Eric Hibbs and Del Swanson host round-table discussions on drag racing, car builds, racing careers, hot rods, and the business side of the racing industry. Entertaining and informative. 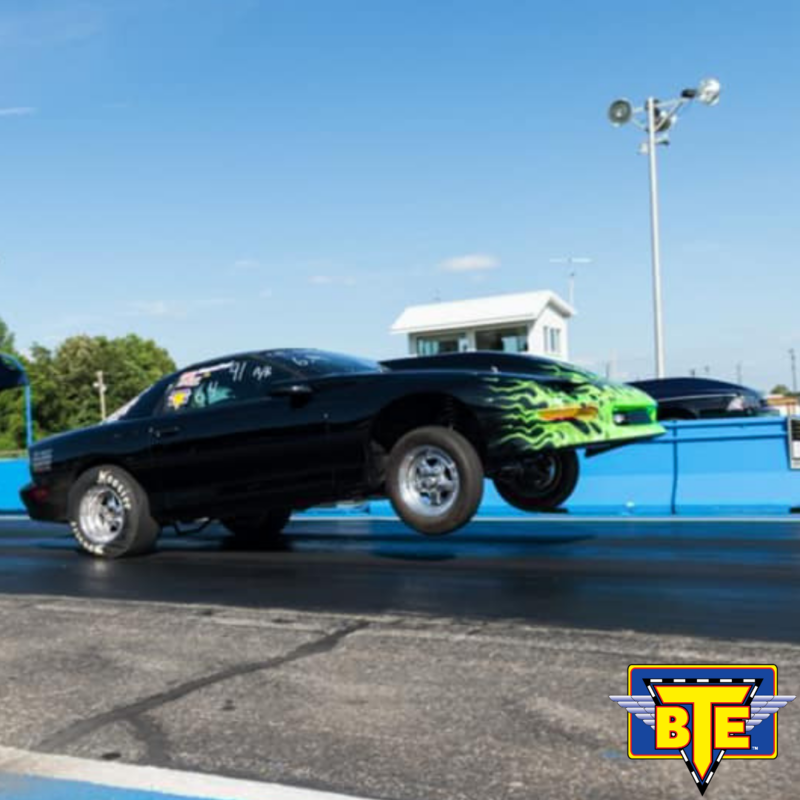 Be sure to check the BTE blog for race roundups, car maintenance tips, performance part upgrades, product developments, and updates from major drag racing events like the World Footbrake Challenge and the Performance Racing Industry show. 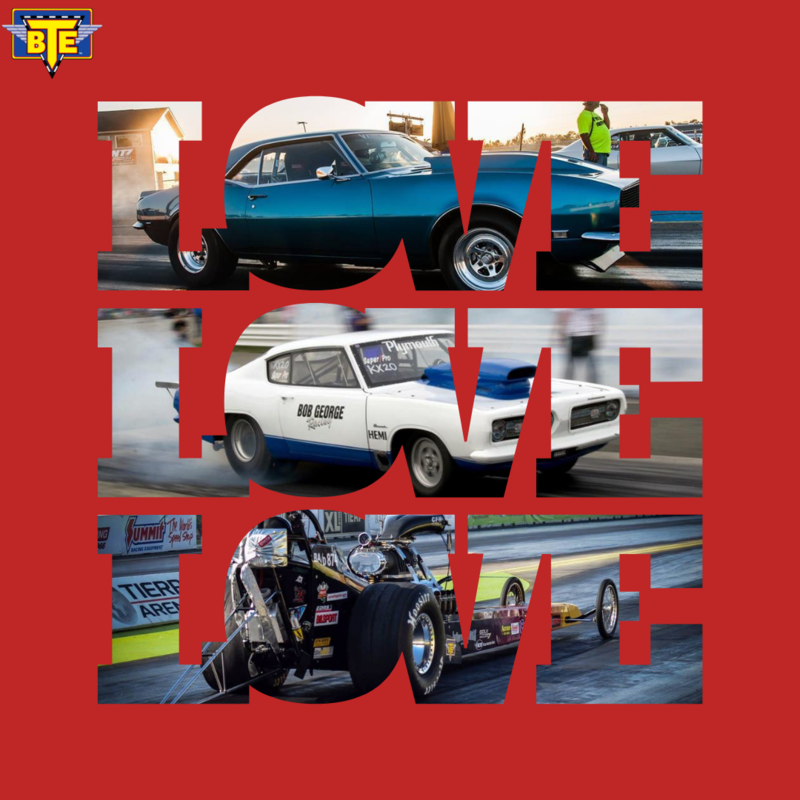 Valentine’s Day is just a heartbeat away, and all of us here at BTE Racing are busy making sure we show our customers and fellow drag racers plenty of love all year long. Here are just a few ways we try to do just that. Manufacturing products in the USA. Our 40,000-square-foot facility houses the latest CNC equipment and logistics technology to aide in efficiency and quality. We also keep money in the local economy by hiring employees from our own community. Great deals on freight shipping. Being located in the land of FedEx has its perks, and we know how important it is to get your parts on time, and with minimal cost. We’ve negotiated special freight pricing and will always pass it along to our customers. We are a company of racers serving other racers. 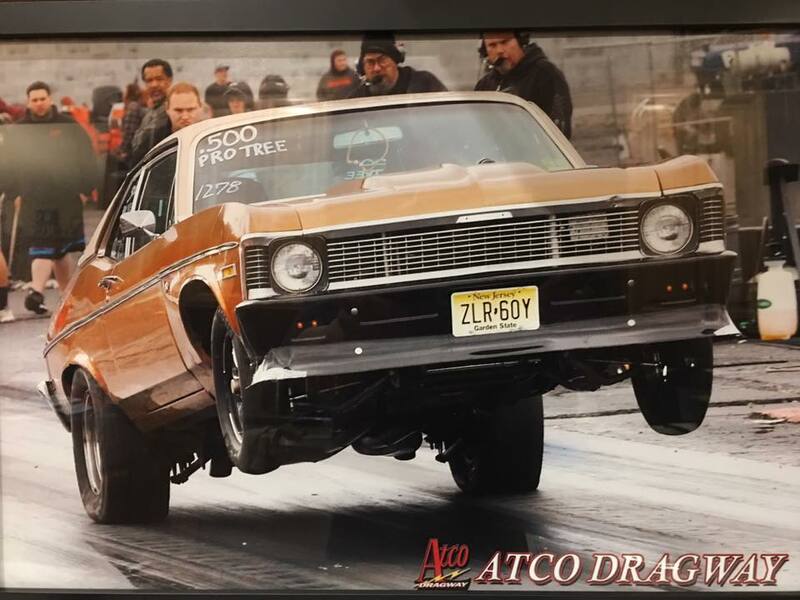 With over 50 years of combined experience (and that’s just our sales guys), our staff is made up of folks that have raced, or are currently still racing their own cars on local dragstrips. Everyone from sales to manufacturing is a true performance enthusiast. With multiple world championships and #1 qualifiers attributed to our name, we offer expert professional technical advice for your racing operation. BTE is a family-owned business. Brandon Barrentine, president of BTE Racing, is proud to carry on the legacy of his grandfather and BTE founder, Bill Taylor. Hoping to influence a new generation of racers by maintaining a commitment to craftsmanship and innovation, Brandon and the entire BTE team keep drag racing fun, family-oriented and inventive. We’re part of your racing team. It is our goal to offer customizable solutions for every car setup, as well as assistance from our Trackside Support Team van on race days, to help you out when it counts the most. We love sharing in your victories by keeping your car and its parts in race-ready condition. Welcome to the BTE Racing Car of the Week series, where we feature our customers and fans, and the cars (and trucks) they love to race. Today we're featuring Greg Kildow from Benton, Kentucky, who owns and races a 1965 Chevy Malibu Station Wagon. My cousin and I started racing a 1967 GTX in 1985 at Sikeston. The first race I actually drove the car was in Newport, AR in ‘85. I tried four converters from different manufacturers and BTE was the fastest by a tenth. I won the track championship at our local track in 2014 and it was because of the reliability of my car and the BTE parts in it. None—just wash the car, load it up, and race whoever pulls up next to me. 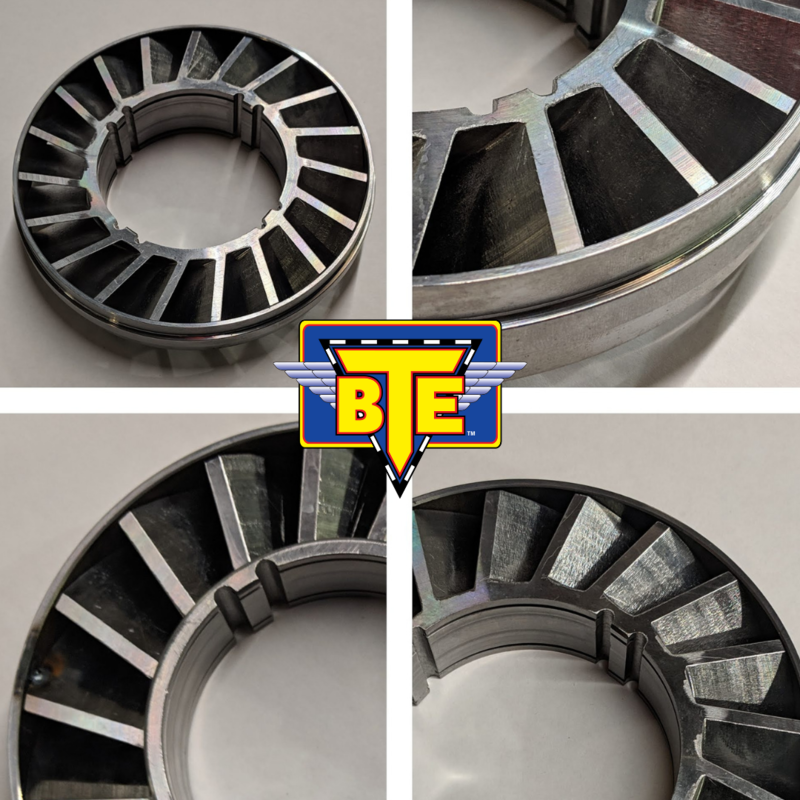 BTE Racing is excited to announce our new CNC-machined billet stator torque converter upgrade. 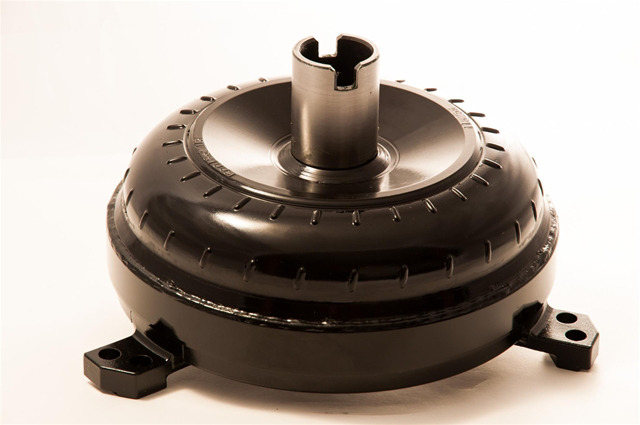 The improved billet stator is available for 9.5 inches, 258 mm, and 265 mm torque converters and is strength-tested, perfectly balanced, exact in design and production, and available for any configuration. Made with aircraft-grade aluminum, BTE’s upgraded stators make customization for each unique application a breeze, offering limitless variations. The upgraded billet stator is CNC-machined, meaning that each one is precision cut using computer-guided machinery. CNC (Computer Numerical Control) machining guarantees accuracy and eliminates any user error associated with manual machining, as processes are pre-programmed and fully automated. And the best part? You don’t even need to ask for the upgrade. All newly manufactured and applicable BTE torque converters will automatically receive the improved billet stators. We’re proud to offer the best quality high performance drag racing parts on the market. Thanks for letting us a be a part of your racing team—check back soon for more exciting updates from BTE Racing. 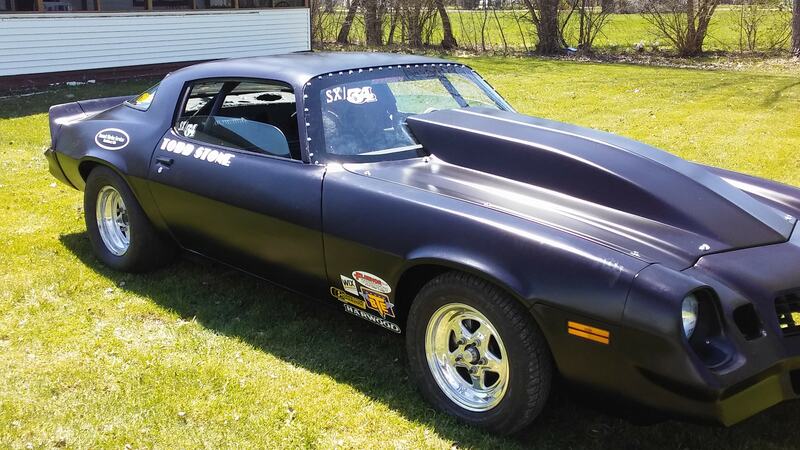 Welcome to the BTE Racing Car of the Week series, where we feature our customers and drag racing fans, and the cars (and trucks) they love to race. 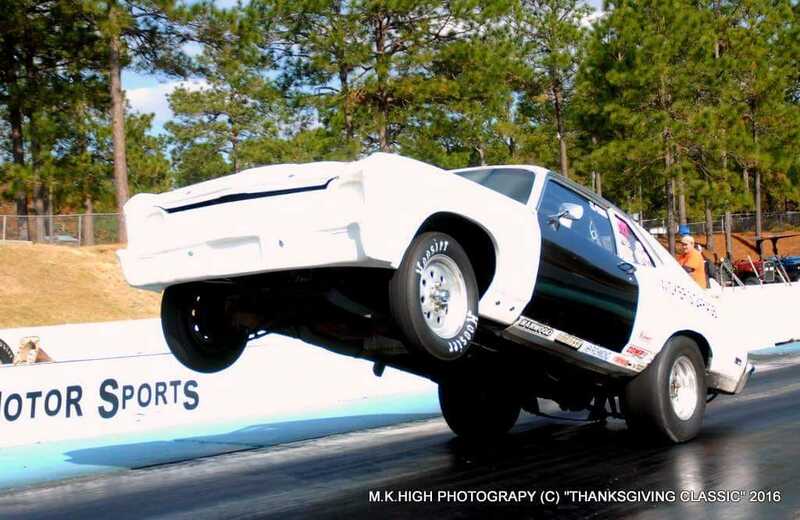 Today we're featuring Jason Wicker from Clayton, North Carolina, who owns and races a 1971 Chevy Nova. My dad got me involved. I use BTE’s 1.80 planetary, sportsman transbrake, billet clutch hub, input shaft, and deep pan. No more broken planetaries since I switched to BTE! Loading the family in the truck. Hot summer racing and high horsepower stress can damage even the best clutch materials and bearings - these are service items that need continued maintenance. We highly recommend an annual tune-up to maintain your investment in equipment, and to avoid costly failures in the height of racing season. More details (and a discount code for 10% off) below. DO NOT SHIP USING US Postal Service. Your parts may not arrive. More information here about that. PLEASE NOTE: drain as much oil from the torque converters as possible and wrap them securely. The package carriers can dispose of leaky boxes! Don't let this happen to you. 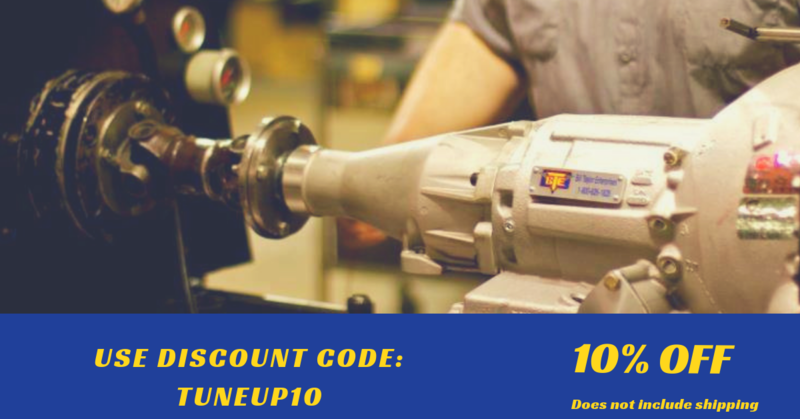 TUNEUP10 - use this code in your information, and/or when rendering payment for services for a 10% discount on services (does not include discount on shipping costs). Converters - $195, plus return shipping, excluding any major components that need replacing. Transmissions - $500, plus return shipping, includes new bands, clutches, gaskets, seals, bushings and a dyno test. Please note: major hard part replacements will be priced separately. Welcome to the BTE Racing Car of the Week series, where we feature our customers and fans, and the cars (and trucks) they love to race. Today we're featuring Gary DeVito from New York, who owns and races a 1968 Chevy Camaro. I wasn't into physical sports like football and basketball but I love to compete so was drawn to driving. First legal race was at Lebanon Valley Dragway in 1985. A lot of people call it a lot of names. Great customer service and very dependable. My car is mainly a street car that I race from time to time against friends and local fastest street car events. My previous combo was a 750 hp big block Chevy with another brand TH400. I was constantly having issues breaking the TH400 and I was wasting a lot of the season down fixing issues. I switched to the BTE glide when I went to the twin turbo LS engine and have raced it 3 seasons now (only maintenance checking band adjustment) with ZERO issues! A brand new but fully built Z07 Corvette. I take a couple of deep breaths and check to make sure all my switches are on. When I get to the line I double check that my shifter is back in first gear. Pre-stage, bump in and GO! BTE is in the business of manufacturing and distributing new high performance parts for your racing vehicles, but we also service your current parts for optimum performance. Now is the best time to get your powerglides, torque converters and other racing transmissions tuned up; before the season gets underway in a few months. Just FYI: They don't have to be from BTE, we service all types of equipment. To get the most out of our tune up services, here are some easy tips to follow to ensure you get your equipment back in perfect condition and in plenty of time before the first big race of the year. We will work our hardest to return your product as quickly as possible. However, please understand that hundreds torque converters and transmissions arrive at our facility this month for service. While we do them as fast as we can, we also need to take the time to do it right. Make sure you send your parts in to allow plenty of time for delivery to our facility, time for our mechanics to do the job right and time for the shipping company to get your parts back to their original location. When sending in torque converters, please use FedEx or UPS. While the USPS is sometimes less costly, their deliveries are sometimes inconsistent. Also—and this is very important—please drain as much oil from the torque converters as possible and wrap them securely. The package carriers can dispose of leaky boxes! Don't let this happen to you. Transmissions should all be shipped on FedEx freight. We have great shipping discounts, so call us before shipping to make sure you can share in the low freight costs. It's simple, but it happens sometimes: Don't forget to include your name and contact information with any powerglides, racing transmissions or torque converters sent to us for annual checkup. Otherwise, we won't know how to get in touch with you if we have any questions. BTE is proud to be a full-service transmission shop and manufacturer. Thank you for trusting us with your parts and for letting us be a part of your racing team. Welcome to the BTE Racing Car of the Week series, where we feature our customers and fans, and the cars (and trucks) they love to race. 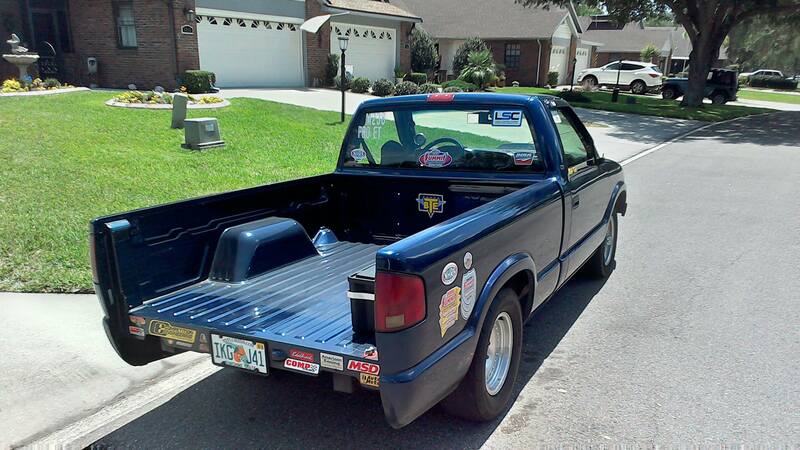 Today we're featuring Jim Saunders from Virginia, who owns and races a 1991 Ford Mustang GT. Went to a drag race in 1983 with my boss at Maryland International Raceway and was “bitten by the bug” right away! Maryland International Raceway in Budds Creek, Maryland in 1983. I was Runner Up my very first time racing! 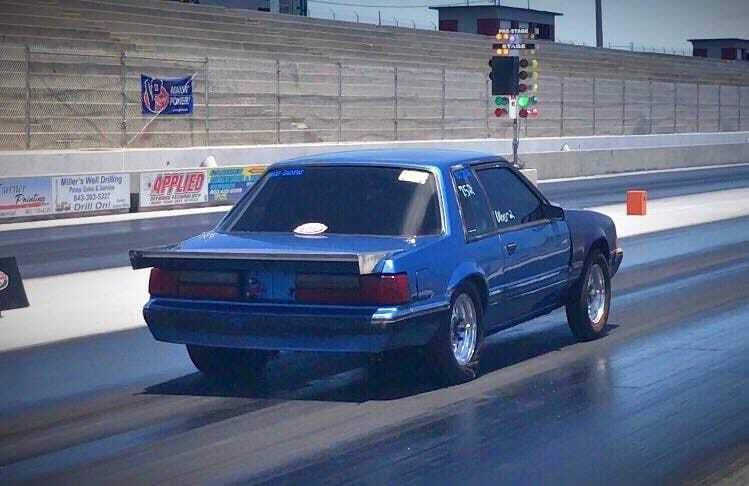 We have a total of four drag race cars—one is a 1991 Ford Mustang GT. Quality parts and amazing customer service! Thank you for being such a strong supporter and awesome sponsor at many races. One time at Bristol at the World Footbrake Challenge I needed to write my dial-in on my car. Went to the BTE Support Trailer and they had some window markers (or shoe polish) in stock. The BTE rep jokingly said it’s guaranteed to go to final rounds. Well, my son made it to the quarterfinals that day! LOL. Great day at the track and appreciated BTE’s humor and support. Don Garlits, John Force and the late Bob Glidden! I wouldn’t change what I’m driving. Do the same routine, tire check, etc. This year was one of the most exciting in company history. From annual events like the World Footbrake Challenge and the Performance Racing Industry show, to strengthening our team with additional personnel, 2018 was a year of growth for BTE. We served more customers than ever before during this year’s Black Friday and Cyber Monday promotions, closing our most successful drag racing parts sale since starting the company in 1996. Intense preparation and precise customer service helped us fulfill all shipments in a timely manner (we’re finishing up our final shipments - thanks to all of you for your patience!). Our virtual community grew this year too—thanks to our 103,099 fans on Facebook and 3,592 on Instagram. Your enthusiastic engagement helps us stay in-tune with your needs and helps us get to know the drivers repping our products. Shameless plug: Be sure to follow our accounts and sign up for our email list if you haven’t yet! In 2019, we’ll work to provide even more useful content for our loyal fans and customers, from transmission and torque converter tips to drag race calendars and high performance product developments. We’ll post to our blog weekly with news and handy info—stay tuned for updates. We’re also excited to expand our product lines and service offerings, based on customer feedback and our shop capabilities. Thanks for making this year our best yet. We appreciate your continued business and support, and we look forward to the future of BTE Racing. Welcome to the BTE Racing Car of the Week series, where we feature our customers and fans, and the cars (and trucks) they love to race. Today we're featuring Afton Swanson from Denver, Iowa, who owns and races a 2015 Spitzer Top Dragster. My dad took me to Jr. drag racing at the local track (North Iowa Dragway). North Iowa Dragway, formerly Humboldt County Dragway, in June 2000. Torque converter and internal transmission parts. We switched to a BTE converter and won our very next race, the Topeka Nationals in 2017. 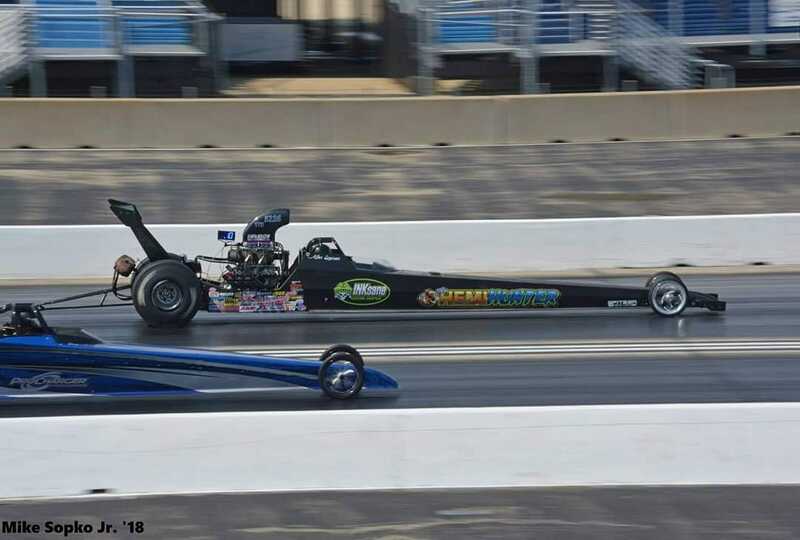 We went on to another Top Dragster final round at the St. Louis Nationals in 2018. In 2017, we wanted to step up our racing program to run at the class maximum, 6.00 (quarter mile) so we needed a converter that could handle 2500 horsepower. BTE got our converter set up perfect right out of the box. We ended up winning our very first race with the BTE converter, and went on to another national event final round the following season. Shirley Muldowney—without her determination and hard work, women (including me) may not be drag racing today. My husband Joe and I would each have a Top Dragster and a Top Sportsman car. Going around the car and making sure everything is set up perfectly before strapping into the car. Welcome to the BTE Racing Car of the Week series, where we feature our customers and fans, and the cars (and trucks) they love to race. 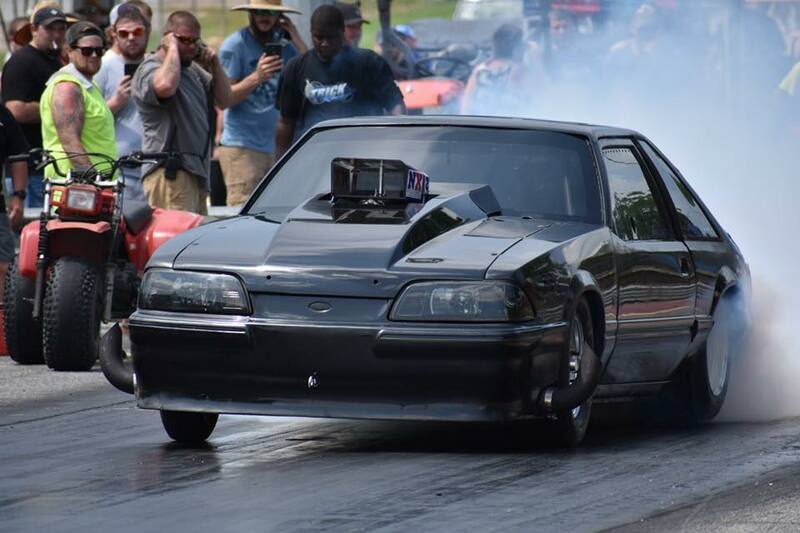 Today we're featuring Shane Braxton from Scranton, South Carolina, who owns and races a 1988 Ford Mustang. My dad has been racing since before I was born. I grew up around it and always have enjoyed racing. 302ci standard bore stock bottom end. Small cam and aluminum heads. BTE pro transbrake and BTE transbrake solenoid. Great, reliable products. And great customer service. Not yet. But I'm sure there will be some to come in the future! My same ol’ Ford Mustang. Me and my dad built it in the shop in our backyard. It's something we work on together along with his ‘67 Fairlane. Plus it's a blast to drive! Strap in. Get focused. And work on getting the win light in my lane. 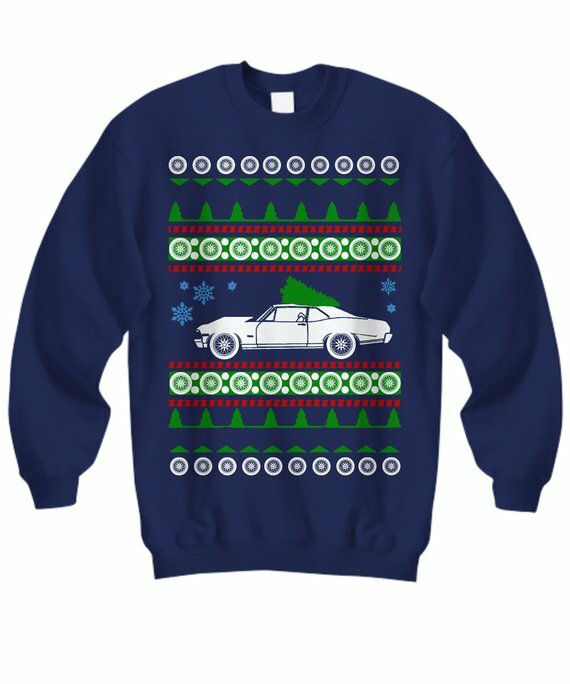 Chevy Nova ugly sweater. Jump on the tacky sweater bandwagon with this comfy crew neck sweatshirt. Other designs also available featuring different cars. Helmet case. A sturdy, lightweight helmet case is a staple of a driver’s race gear. Well-kept protection equipment keeps them safe! Race Hair, Don’t Care t-shirt. The thrill of racing > helmet hair. No question. Speedometer cufflinks. Drag racers clean up nice, when they’ve got a reason. These cufflinks will have them excited for formalwear. Clutch/Gas socks. If your racer didn’t have lucky socks before, they do now! These gas/clutch socks will help them be in the zone head to toe on race day. Car phone case. Decorative but functional, a car-shaped phone case is definitely a statement piece. Comes in a variety of colors and models. Cool BTE gear. They’ll love repping their favorite racing brand at the track and around the house. Can’t go wrong with a BTE shirt or hat. Subscription to a drag racing magazine. Find out which magazines they read and pay for a six month or one-year subscription. They’ll think of you each time a new one comes in the mail. Interior LED lights. Light up their ride with these colored LEDs. Glow in the dark tire gauge. Practical for late evenings at the track, a glow in the dark tire gauge is a cool gift that will get a lot of use. Drag racing wall calendar. They’ll need a place to keep track of upcoming race dates and this racing wall calendar will do the trick. Choose from a variety of themes. Online tutorial modules. There are plenty of resources to help racers brush up on specific skills. Online tutorials and training programs are a great idea for beginners or those looking to move up a division. Pay for subscriptions or specific video modules. Welcome to the BTE Racing Car of the Week series, where we feature our customers and fans, and the cars (and trucks) they love to race. 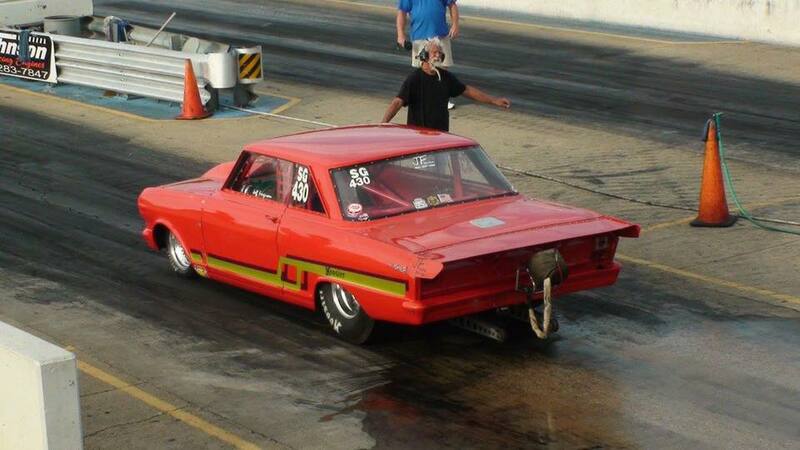 Today we're featuring Jeff Ferguson from Olive Branch, Mississippi, who owns and races a Chevrolet Chevy II 1965. I discovered Lakeland Dragstrip as a teenager—the last 3 years they were open ‘77-’79. I’ve been hooked ever since. Transmission, torque convertor, tires, parts, fluid and more. Great products, great service, great people from the front door to the back. Tons—too many to choose from. They are very helpful and knowledgeable. Much appreciation to Mr. Bill and Paul for help back in the day. Thanks to Brandon for letting me walk about, Shaun for great trans builds and special deliveries, and everybody else for their help and info. I truly appreciate y'all. Warren Johnson, Bob Glidden, Don Garlits, John Force and Caffey Broadus… Never give up! I’d get another of my same car… twice as nice! Also lots/stacks of spare parts with a nice motorhome and stacker. Clear your head of all distractions and focus as much as possible. Message from BTE President Brandon Barrentine: "Thank you for your loyalty"
Now that the dust has settled and the numbers are in, we’d like to thank you for our most successful Black Friday & Cyber Monday sale in company history. In our opinion, it’s a win-win. We’re able to keep our production shop busy throughout the typically slow season, and racers score major discounts on the parts and equipment they need for the next season. Thank you for your loyalty, and for your patience when the phone lines were ringing off the hook. If you made a purchase during our seasonal sale over the phone or online, we hope you had an excellent experience. We’ve planned well for this year’s sale, and most of you have your orders already. We anticipate to have almost all of our orders in your hands before Christmas. As always we appreciate your feedback on how we can continue to improve our service and ordering process. Thanks for your business and support. We look forward to racing with you in 2019. Welcome to the BTE Racing Car of the Week series, where we feature our customers and fans, and the cars (and trucks) they love to race. 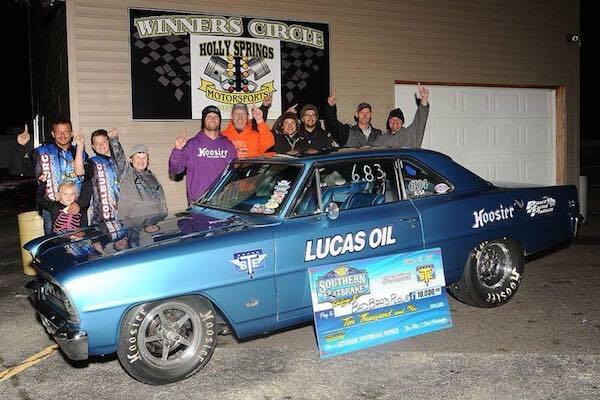 Today we're featuring John Molyneux from East Brunswick, New Jersey, who owns and races a 1972 Chevy Nova. My dad would always bring me to the Summer Nationals at Raceway Park in Englishtown, New Jersey. 1972 Chevy Nova. I had to put racing to the side for a while until my current Nova found me in 2011—we’ve been running hard ever since then. Chad took the time to gather information and custom build a converter for me, then set me up with some low gear sets for the TH350 to help us get out of the hole we were in. My same car, just max effort and no expense spared! Drink some water, strap in early, and see the win light! Welcome to the BTE Racing Car of the Week series, where we feature our customers and fans, and the cars (and trucks) they love to race. Today we're featuring Tommy Barbero from Wentzville, Missouri, who owns and races a 1978 Chevy Malibu. Gateway International Raceway at Madison, IL in 1992. Ran 17.50 second in a ‘78 Malibu—but not the same one I have now. The 8” converter was installed in September 2016 and has been flawless ever since. The 1st weekend in the car, it went to two $5,000 to win finals on the same weekend, with 1 win and 1 runner up. It carried the car to 10 finals in 2017 at 3 different tracks. It’s going to get freshened this winter, but really shows no signs of needing it. Jeremy McKague, he’s the man—just ask him, he’ll tell you. Too many superstitions to list. Welcome to the BTE Racing Car of the Week series, where we feature our customers and fans, and the cars (and trucks) they love to race. 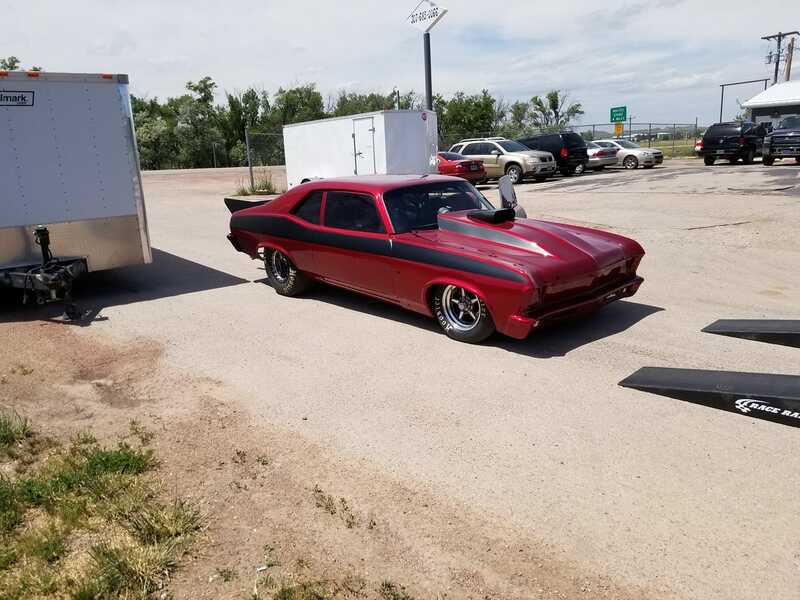 Today we're featuring Eric Baysinger from Gillete, Wyoming, who owns and races a 1970 Chevy Nova. Awesome tech team, awesome products. BTE’s transmission has held up year after year, while others have not. I’d be driving the same car. Team gives me fist pounds. Welcome to the BTE Racing Car of the Week series, where we feature our customers and fans, and the cars (and trucks) they love to race. 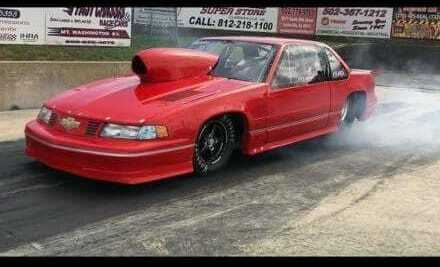 Today we're featuring Mark Blake from Prichard, West Virginia, who owns and races a 1994 Camaro. My dad took the whole family to the tracks. A family friend of ours raced and we helped him with his car. I got my first car and made my first pass at age 16, thanks to my dad. Bought the car from Chuck Felty. 2006 L33 5.3 with a vsracing 77mm turbo and wiring harness, tuned by my son Austin Blake. Years of quality and never had a problem. I’ll always continue to use BTE parts. With my new BTE 8-inch 83400 converter, no other changes made, I picked up .20 on the ET and 4 mph faster. As a proud dad, my son. He is building a great reputation in the racing industry with us custom wiring harnesses for the LS guys and his impeccable tuning ability. I also have had great friends that helped along the way—Ben Mosley, a great machinist and engine builder, and Bob Potter for building us a great transmission that works great. Probably a X275 or a really fast door car small tire. Street car would be a ZR1R—never been a corvette guy but I like the new ones! Double check all my stuff and look over last pass data. Biggest thanks to BTE for having quality parts over the years to keep us going. I am thankful for my mentor Chuck Felty, my dad, my family, my wife and her endless support. Excessive heat kills transmission and torque converter components. Racing heavily stresses the transmission and causes it to heat very rapidly. It has been proven that for every 20°F your transmission increases, it cuts the lifespan of your transmission and transmission fluid in half. While this is well established and widely understood, we are often asked about the best ways to manage this problem. Welcome to the BTE Racing Car of the Week series, where we feature our customers and fans, and the cars (and trucks) they love to race. 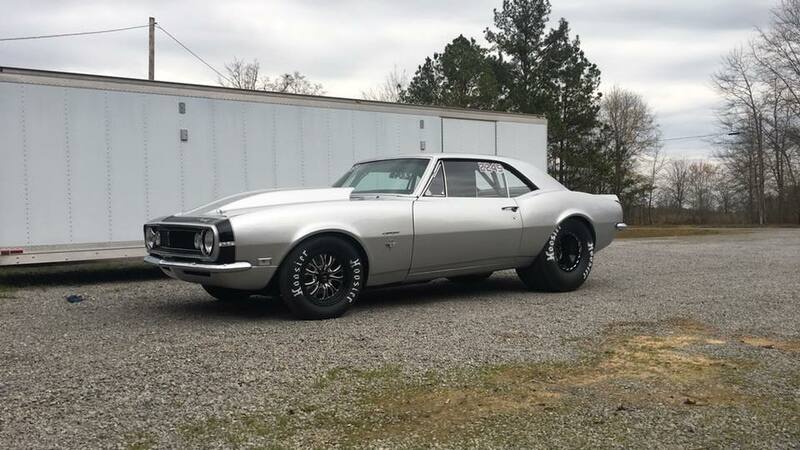 Today we're featuring Brody Quick from Hanceville, Alabama, who owns and races a 1967 Camaro. My dad has bracket raced for years. I was always at the track growing up and knew I wanted to be making laps. Got my first junior dragster and it just grew from there. Sometime in 2006 at Baileyton “Good Time” Dragstrip. Good quality and reliability are important to having consistent car performance and BTE provides that. The products I use from BTE have made our cars better and have gotten us more win lights. Gotta be Danny Weaver—I hope to be as good as him one day. Don’t really have one, I’m pretty sporadic in the moment. Welcome to the BTE Racing Car of the Week series, where we feature our customers and fans, and the cars (and trucks) they love to race. 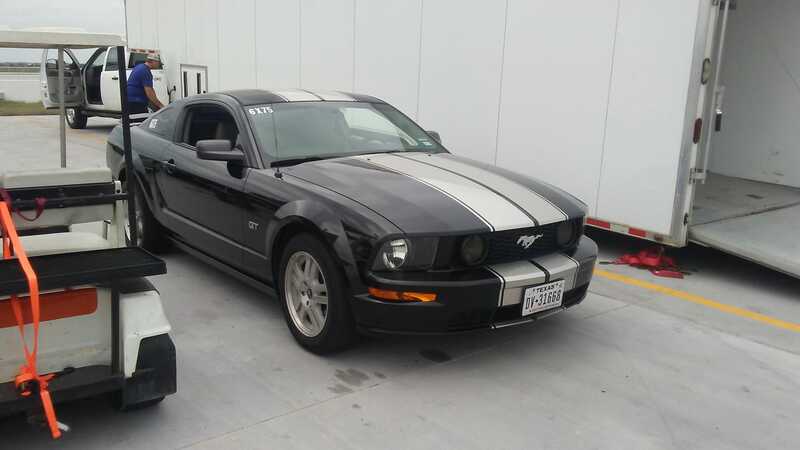 Today we're featuring Roy Santosky from Copperas Cove, Texas, who owns and races a 2006 Mustang GT. I started out dirt track racing and then changed over to drag racing. February 2018 at Little River Dragway in Holland, TX. It's a good product at an affordable price. Not yet, but I look forward to increasing my power. 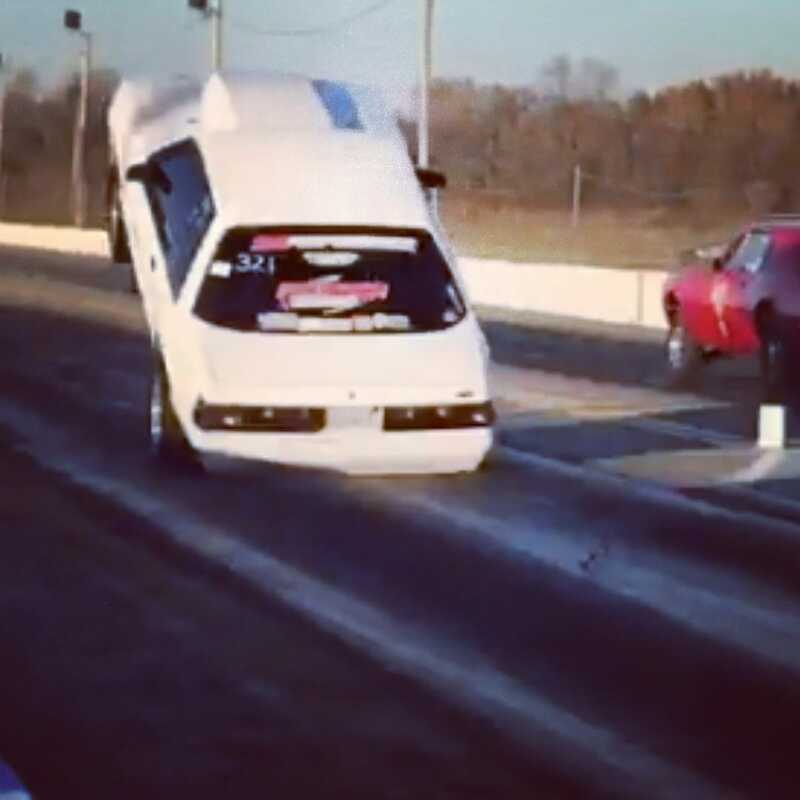 I’m now in the IHRA and looking to keep moving up. I have boots I only wear when racing and I don’t shave on race day. Welcome to the BTE Racing Car of the Week series, where we feature our customers and fans, and the cars (and trucks) they love to race. 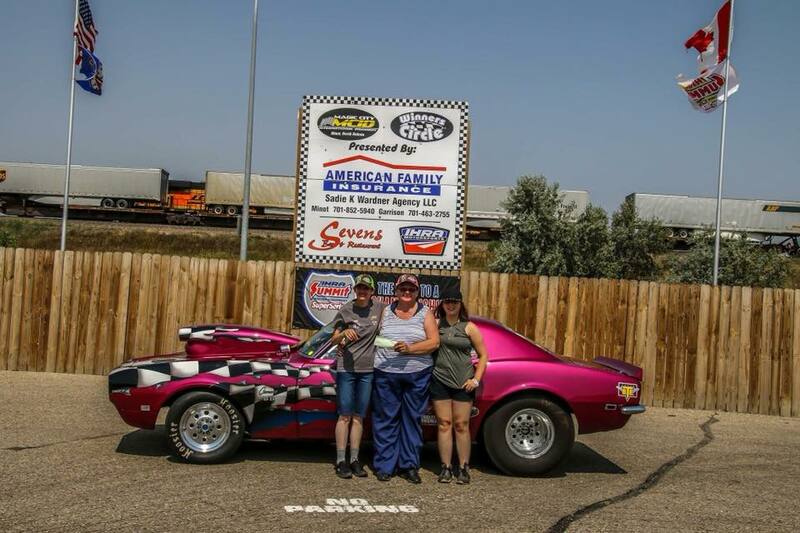 Today we're featuring Dolores Hoffart from Bienfait, Saskatchewan, who owns and races a 1968 Camaro. I drove a streetcar at a drag race and was immediately hooked. They’ve got great quality and service. They installed gear and consistency is back, helping with great lights. Check air pressure, engine temperature and concentrate on the light. BTE loves hearing success stories from satisfied racers. 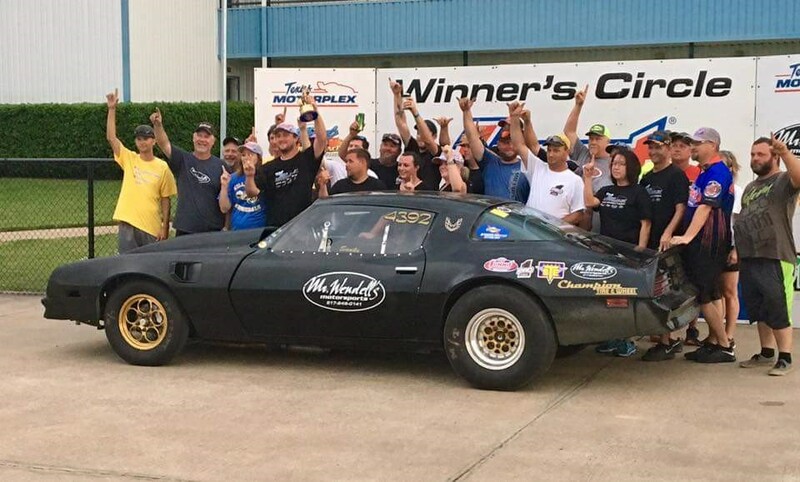 Today we feature a testimonial from Greg Schmidt, a driver for Paradigm Racing whose 1989 Camaro, Bad Influence, saw significantly improved performance using BTE’s custom-built TH400 transmission. For those who may not follow our racing, we are Paradigm Racing and our car, Bad Influence, is a 1989 Camaro sporting a Big Tire, a healthy 632CI engine with a nice sniff of nitrous from Nitrous Outlet. We have had a BTE Bolt Together Converter and Top Sportsman Powerglide in our car from 2015 thru 2017 and this setup brought us a lot of win lights, five event wins, numerous semi-final and final round appearances, and a championship in 2016. In 2017 at PRI we talked to Brandon and his crew from BTE about what we could do to not only speed up our car, but to help showcase BTE Racing and their products. Brandon's crew said, "Let's go to a 3-speed." Our Crew Chief Al was excited but I was skeptical—I fear change and tend to think, "if it ain’t broke, don’t fix it." BTE Racing put together a Reid-cased TH400 with a close ratio 1.66/1.34/1:1 gear set, a reverse manual valve body with a clean neutral, and a pro brake with 1st AND 2nd gear transbrake. This was great since our Top Sportsman Powerglide was a 1.69 1st gear. We topped off this setup with an air operated Precision Performance Products Shifter. We knew we wanted to keep our comparison "apples to apples," and the TH400 is slightly heavier than the Powerglide (50-70 lbs depending on how you have them setup), so we put the car and driver on a diet over the winter of 2017/18. When making the switch from a PG to a TH400 the transmission mount will change, and the driveshaft will need to be shortened 1-1.5 inches depending on your suspension setup and travel. We hit the track May of 2018 and we were 5 lbs lighter than the previous season, even with the exact same engine, nitrous, rear gears, converter, tires, etc. We put a known good tune in the car that we had data on to go 4.77 in the 1/8th mile. When we let off the brake and held on for the ride the time slip put a smile on my face. A 4.67 Elapsed Time made it easy to let go of my fear of change! A swap from a 2-speed to a 3-speed gave us a full tenth of a second on a light tune in the 1/8th mile, plus the car was better to drive, kept the G meter up longer and pulled better throughout the pass. Our transmission temperatures have stayed cool all season, and we've been able to play with gear timing curves much closer than we could before. 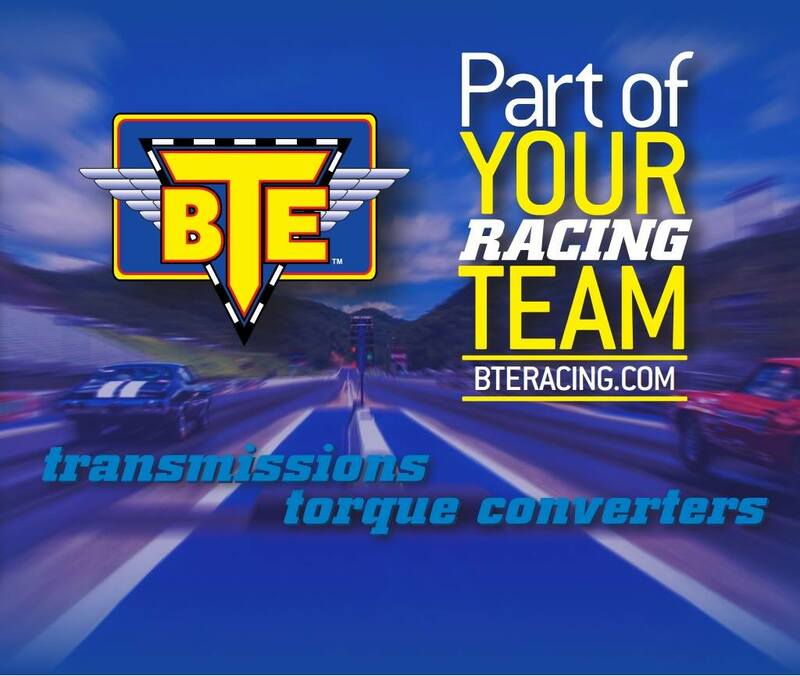 BTE Racing changed our racing program with the change of a transmission, adding one more tuning trick to our toolbox. If you are a heads up racer or FAST Bracket racer wanting that extra little edge, this is a product you need to look into to help your program out! Next appearance—South Georgia Motorsports Park for No Mercy 9. You can see this transmission in action in the OUTLAW 632 class this week at SGMP or tune into the live feed! Thank you Brandon and the ENTIRE crew at BTE Racing for the amazing products and service over the years. Welcome to the BTE Racing Car of the Week series, where we feature our customers and fans, and the cars (and trucks) they love to race. Today we're featuring Jeff Clark from Mt. Washington, Kentucky, who owns and races a 1994 Chevy Lumina Z34. My father and oldest brother raced. In 1988 at the Summit Motorsports Park High School Nationals. Lost in the quarterfinal but had a good run! Badman Racing Engine big block Chevy 572 with Profiler X375 CNC heads and two 950 cfm alcohol APD carbs on a Holley tunnel ram. Motor makes 1050 hp on dyno. I use the converter, transbrake and 1.80 gear set. Al Gottschling built my transmission for years and that’s all he used. They work great! Lucas Walker helped me pick out my new converter. It’s more consistent and faster than my old one from another company. It’s safe to say I’m making the switch. My father who passed away a few years ago. My wife Teresa gives me a kiss after I get in the car. Welcome to the BTE Racing Car of the Week series, where we feature our customers and fans, and the cars (and trucks) they love to race. 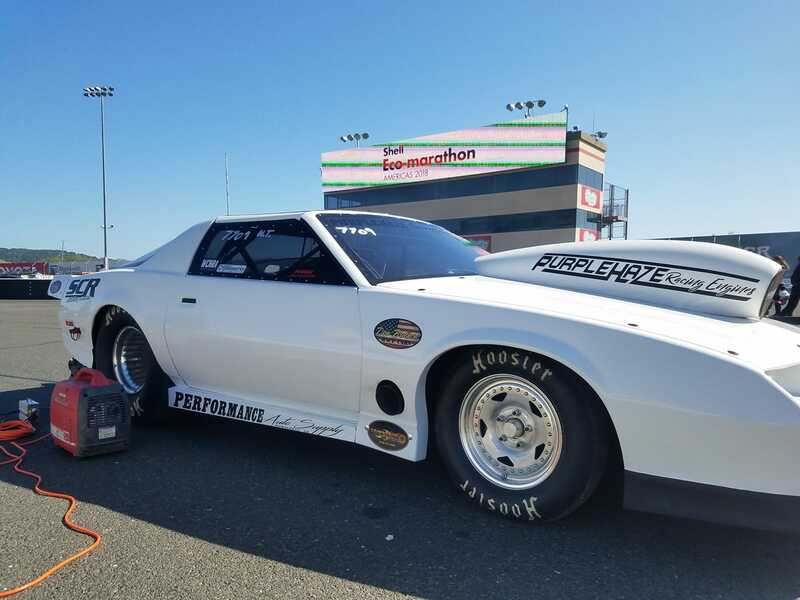 Today we're featuring Steven Ronneberg from Dobbins, California, who owns and races a 1985 Camaro. I went to a Team Boddie grudge race with Monti Fitzgerald. My first race was last year in Sacramento against Mike Murillo. Because they came highly recommended by high level grudge racers. Everyone says BTE’s transmissions can take the power. They have the strongest, most reliable parts without sacrificing affordability. Monti Fitzgerald, Cole Dow and Jay Boddie. I sit in my car and get in the zone. Welcome to the BTE Racing Car of the Week series, where we feature our customers and fans, and the cars (and trucks) they love to race. 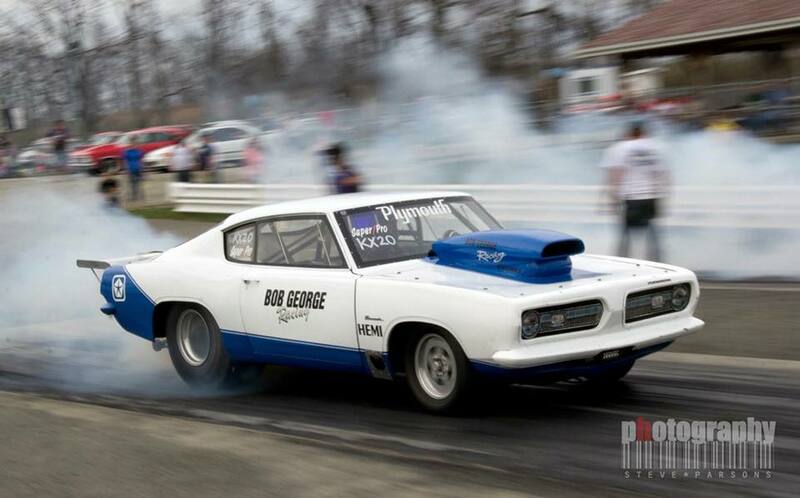 Today we're featuring AJ Casini from Hunker, PA, who owns and races a 1969 Plymouth Barracuda. Customer service and product quality. The transmission has been flawless this season. No one—I am 6’7”! Just kidding, I have many I look up to but my dad is one of my biggest role models. He is always ready to step in and help get something fixed, even when I’ve given up hope. Whether it’s the race cars or the rig, he always finds a way to keep it going. High Five “bams” from my wife and 2 daughters. Same from my parents, sister, niece and nephew if they are at the track. Welcome to the BTE Racing Car of the Week series, where we feature our customers and fans, and the cars (and trucks) they love to race. 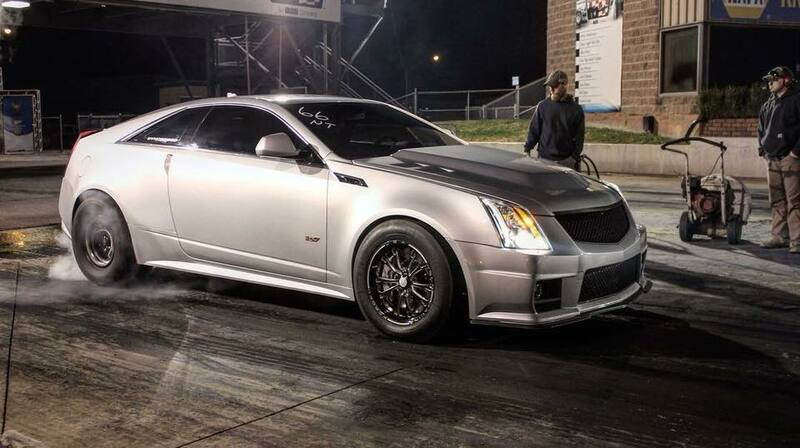 Today we're featuring Brett Vanstory from Braden, TN, who owns and races a 2012 Cadillac CTS V.
I had some friends that started racing and that got me motivated. Quick to answer questions and convenient location. The transmission is great, really shifts well!